This will be a week of late afternoon or evening posts. On a girls trip in LA(Lower Alabama). I had to stop in Clanton and get gas. Across the street was the giant peach. 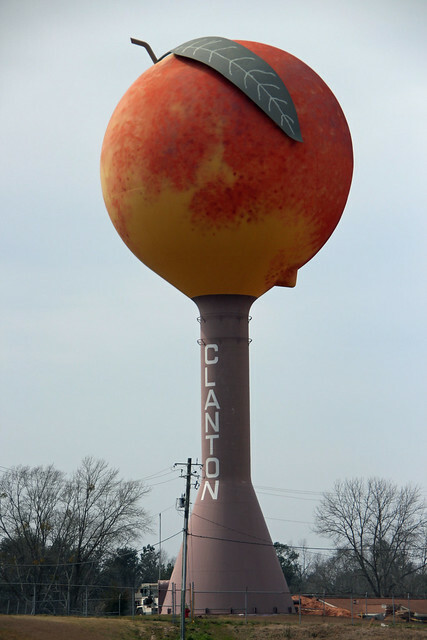 Clanton is in Chilton County Alabama home of Chilton County peaches. Made it to Orange Beach in time to see the sunset.